McGlothlin is a philanthropist whose generosity has benefited many arts, medical and educational institutions, including the Raymond A. Mason School of Business at William & Mary. A native of Leesburg, Virginia, McGlothlin has remained closely connected with the university, serving as its first lady during Paul Verkuil’s presidency. In that role, she was an advocate for faculty, staff and students with children and was a leader in the effort that established the Campus Child Care Center — made possible largely thanks to McGlothlin’s fundraising efforts. McGlothlin and her husband, James W. McGlothlin '62, J.D. '64, LL.D. 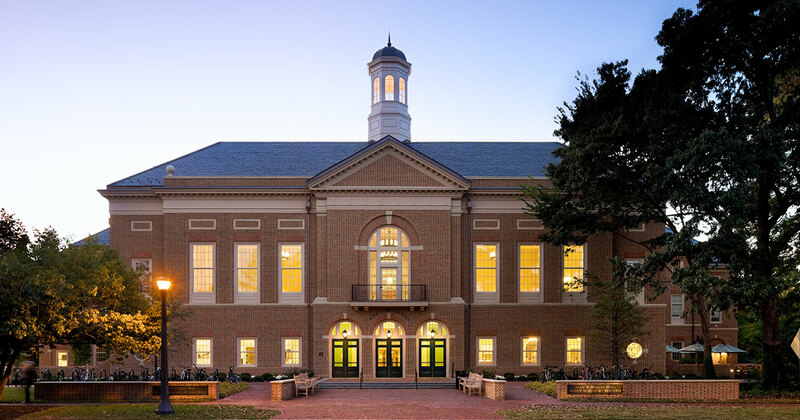 '00, also established the university’s McGlothlin Leadership Forum at W&M, which offers students the chance to learn from some of the nation’s preeminent leaders in business and law. The couple has endowed McGlothlin Scholars at the business and law schools, and these endowments have greatly enhanced the business and law schools’ capacity to recruit students of compelling ability. They have also established the McGlothlin Faculty Teaching Award. They helped make possible the recent renovation of Zable Stadium. In 2012, the McGlothlins served as the grand marshals for W&M’s Homecoming parade. They are currently honorary co-chairs of the university’s For the Bold campaign, which aims to strengthen alumni engagement, achieve 40 percent alumni participation and raise $1 billion for W&M. Fran McGlothlin has been a strong supporter of the Mountain Mission School, which provides at-risk youth with an exceptional educational experience in a nurturing environment. The McGlothlins have also been significant supporters of the Virginia Commonwealth University Medical Center and its School of Medicine. Its new medical education center is named in their honor. Fran McGlothin’s love of American art also led her and her husband to assemble one of the leading private collections in the country. She is the senior vice president of UC Fine Art, Inc. in New York and has served on the boards of arts organizations, including the Virginia Museum of Fine Arts, to which she and Jim have bequeathed their art collection. Fran McGlothlin is a board member of the United Company Foundation and the James W. and Frances G. McGlothlin Foundation.